Intego is a Mac security software company founded in 1997. They create backup , antivirus , antispam , firewall and data protection software for Mac OS X . 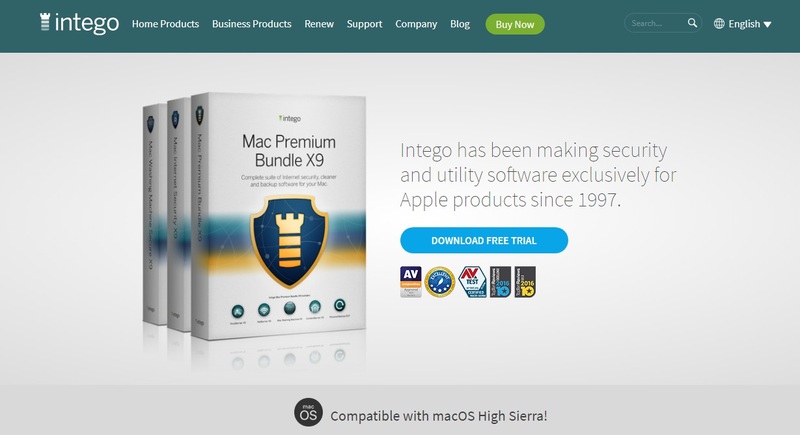 The company’s slogan is “we protect your world.” In September 2007, Intego launched the Mac Security Blog , which provides articles about security issues, security updates, and security alerts. In early 2010, Intego released VirusBarrier X6 and Internet Security Barrier X6, the latter a bundle containing VirusBarrier X6, ContentBarrier, Personal Backup, Personal Antispam, and FileGuard. VirusBarrier Server is a server-side anti-malware program for Mac OS X Server and its built-in e-mail server. Remote Management Console is a data program designed to manage other Intego software over a network. ContentBarrier is a parental control program, FileGuard is a data protection program, Personal Antispam is a spam filtering program, and Personal Backup is a backup program. VirusBarrier is an antivirus and network protection app for Mac OS X v10.5 and Mac OS X v10.6 used to detect malware , spyware and malicious exploits . The program also has a two-way firewall, and antivandal protection to block network attacks. It also blocks web threats and phishing attempts, and provides data protection features for. It is a universal application and protects two Macs. The latest version is X6. Another version of VirusBarrier is called VirusBarrier Dual Protection and includes Panda Antivirus, an antivirus application for Microsoft Windows forIntel Macs running Windows XP or Windows Vista (under Boot Camp (software) or other similar software). Jump up^ “The MacTech Spotlight: Laurent Marteau, Intego” . mactech.com . 2010 . Retrieved 26 April 2011 . Jump up^ McNulty, Scott. (8 July 2008)Intego VirusBarrier X5 Antivirus & Security Software Review. Macworld. Retrieved on April 30, 2010. Jump up^ Landesman, Mary. “Best Antivirus Software – Readers Choice Awards 2011” . About.com . Retrieved 8 November 2011 . Jump up^ “Intego VirusBarrier Review” . TopTenREVIEWS . Retrieved 8 November 2011 .